Oliver Garnett focuses on the challenges and benefits of effectively integrating distributed energy resources (DER) into the electricity system. His recent projects include quantifying the grid and ratepayer benefits of electric vehicles (EVs) and charging infrastructure, designing demand response programs, and valuing energy storage assets. Oliver likes to combine rigorous numeric modelling with strategic thinking. He believes that understanding consumer incentives is essential to help companies and policy makers make efficient decisions that decarbonize the energy system. Oliver’s other interests lie in wholesale electricity market analysis, and long-term system planning to meet environmental goals. Originally from the UK, Oliver came to California after his graduate studies to work in one of the most diverse, complex, and progressive power sectors in the world. He appreciates the opportunity to work at the frontier of the field alongside passionate and inquisitive colleagues. 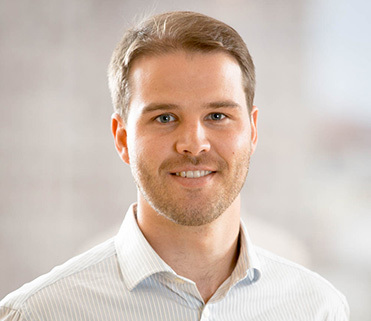 Oliver previously worked as an offshore oilfield engineer in Scotland and for the leading demand response aggregator in London. For his dissertation, he helped a distributed solar company better understand electricity demand for forecasting and planning purposes in Rwanda.